INCEPTION is the leading destination for virtual reality entertainment content, it brings immersive experiences to life – for everyone. The company’s apps deliver premium content to consumers worldwide. Through original formats, exclusive rights and creative programming, Inception showcases engaging experiences in heritage, music and culture - combining state-of-the-art technology, top creative talent and exclusive industry experts to redefine the process of creation, production, distribution and monetization. 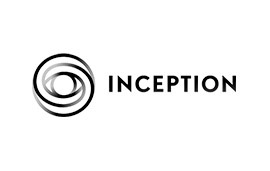 From vision to (virtual) reality, Inception makes it real. 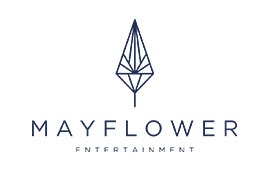 MAYFLOWER ENTERTAINMENT is a consulting agency that connects brands with entertainment and pop culture partners to maximize advertising impact. Founded in 2016 by industry veterans Ryan Schinman and Lindsay May, Mayflower has offices in Los Angeles and New York City and a global network including partners in Tel Aviv, London, Mumbai, Sao Paulo, Tokyo, Rome, and Moscow. Mayflower specializes in the procurement of celebrity talent and music for events, performances, appearances, advertising campaigns, and other marketing initiatives on behalf of clients of all sizes, from Fortune 500 companies to territory specific brands. JUSA COLD PRESSED is a new wellness brand that provides a healthy, convenient, and affordable solution for all audiences. Jusa’s core product includes a range of cold pressed juices that maintain their high nutritional value (compared to the commonly found pasteurized juices with preservatives and sugar additives). Jusa also offers a variety of healthy snacks, healthy desserts, and detox programs. Jusa’s products can be found at its flagship store, online store, and through select partnerships. JUSA’s goal is to develop a community of likeminded people who want to maintain their current lifestyle, just with much healthier alternatives. OBER PRIVATE CLIENTS is a private investment club which offers exclusive, bespoke investment opportunities that are interesting to own, de-risked and mutually profitable. Ober predominantly focuses on opportunities in the worlds of Lifestyle and Media & Entertainment, targeting businesses that have the scope to significantly improve internal profitability and capital value. Ober's selection of investment opportunities to date has enabled members to be part of a broad spectrum of businesses – including an Oscar winning film, the only private island in England, the career of a Formula 1 driver, and even the first ever concert in outer space headlined by Lady Gaga. 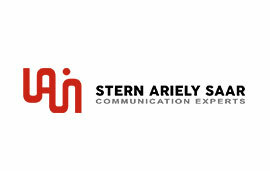 STERN ARIELY SAAR offers a holistic approach to PR, working in conjunction with advertising and BTL agencies, lobbying groups and marketing teams. Founded in 1994, SApr is an affiliate of the Cohen & Wolfe network and has been chosen as one of the top ten leading PR firms in Israel. Events: For over thirty years, TSG has forged a tradition of excellence, working with high-profile and private individuals, Fortune 500 companies, and political leaders to provide unparalleled design and production services for both personal and corporate occasions. Amenities: Through its Hospitality Consulting and Management division, TSG harnesses the company's full array of talent and experience to creatively spotlight products and to enhance environments with a variety of amenities large and small.